The time has come to debut the pilot episode of the Revival Club. Every episode, we will dust off an older game and play a chunk of it together while commentating and responding to your feedback. 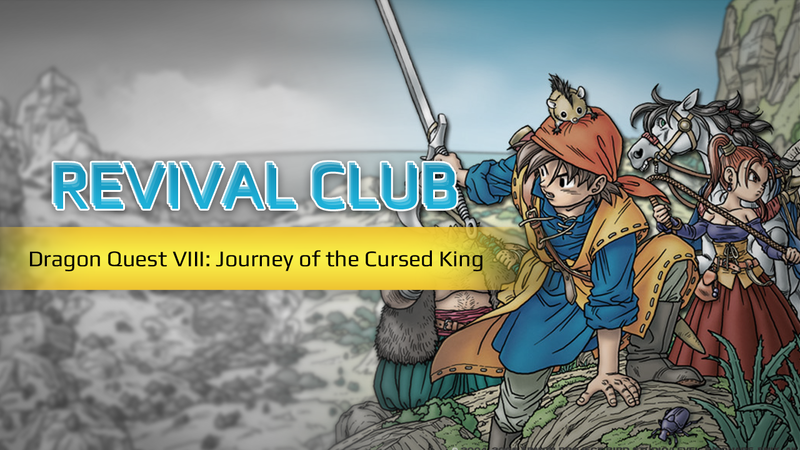 For this pilot episode, our Patrons voted on Dragon Quest VIII: Journey of the Cursed King; a game whose relevance is easy to identify given it's imminent re-release on the 3DS and another high profile sequel on consoles in the next year or so. For those who may not know, we started this in podcast format years ago but weren't able to keep up with it. We recently decided to bring it back as a video series which will give the community and our supporters on Patreon a way to play a long and lead the conversations! This is a work in progress and may take a few episode to find it's ideal format. If you have any comments, suggestions, or questions, please leave them down below and we'll be sure to address them. We hope you enjoy it! If you are a Patron, you can visit the Patreon Activity Feed to access the poll for the next episode!